BMW Group Thailand has set its sights on another milestone in Thailand’s journey towards a future of electro-mobility with local high voltage battery production – which comprises production of the battery modules and the battery itself – from 2019 onward at a new production facility located in WHA Chonburi Industrial Estate 2. In partnership with the Dräxlmaier Group, one of the world’s leading automotive suppliers and a strong systems partner with BMW Group since 1966, BMW Group Manufacturing Thailand is now laying a solid foundation for local battery production through advanced training and qualification programs starting September 2018. Alongside the electric motor, the high-voltage battery is a central element of partially and fully-electrified vehicles and a highly sophisticated component that requires specialized skills to produce. To strengthen the foundations for high-tech assembly work, BMW Group Manufacturing Thailand and Dräxlmaier Group are engaging in an intensive cooperation to bring this advanced expertise to Thailand. Mr. Gerhard Irnesberger, Plant Manager Dräxlmaier Group Thailand, said, “It is a very big honor, to produce the high voltage storage local for BMW Thailand. Currently, there are two DRÄXLMAIER teams working hand in hand from Germany and Thailand to lead the project to a successful start of production”. Since September 2018, staff from the Dräxlmaier Group have been taking part in the battery production training program at BMW Group Plant Dingolfing and the pilot plant for e-drivetrains to share their expertise in cutting-edge production technologies such as laser welding, plasma activation, robotics, gluing, automated optical and electrical inline quality inspection along with end-of-line testing. The training is also focused on supporting a highly-automated process, which is an important part of battery module production, as well as comprehensive quality assurance, product methodology and technology, rework, and analysis. With a strong grasp of battery production skills, the staff will work on battery cells provided by suppliers in the Asian region along with other imported parts such as aluminum housing, electronics, and cables to roll out the high-voltage batteries that meet BMW Group world-class standard and to meet Thailand’s local content requirement regulation. Final batteries will then be transported to Plant Rayong for the production of the PHEVs based on the BMW 5 Series, BMW 7 Series, and BMW X5 in the first phase from 2019 onward. “To ensure that the production process is in line with the BMW Group’s exceptional standards of quality, experts from BMW Group Munich are involved. 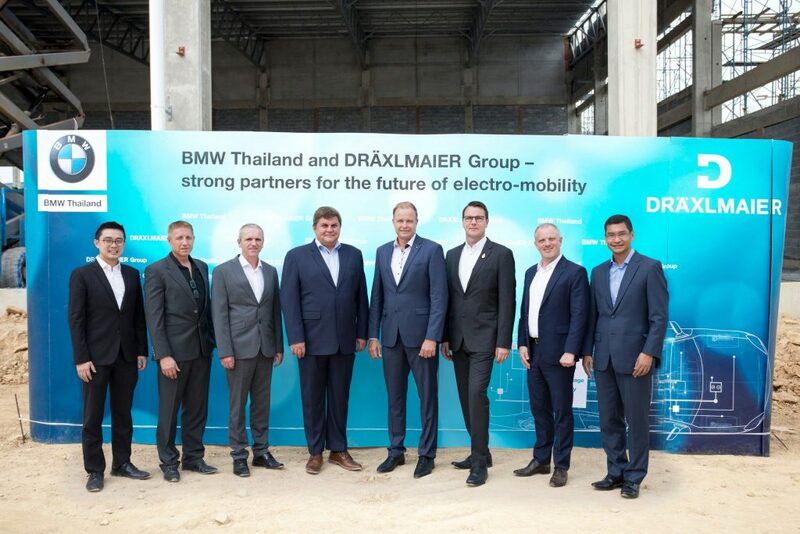 Together, BMW Group and Dräxlmaier plan to invest over 400 million baht to establish a new beacon for e-mobility innovations in Thailand and the region. For BMW Group Thailand, we have already planned and approved for government’s incentives by Thailand’s Board of Investment (BoI) to further invest over 700 million baht for more BMW Plug-in Hybrid models to come”, Mr. Wiedmann added.